Everyone who owns or manages a residence or business space wants to do whatever they can to avoid a fire, but fires unfortunately still happen. Whether it’s for testing, installation, sales or service, Global Fire Technologies, Inc. is the company for a fire alarm Los Angeles-based businesses and individuals turn to first. 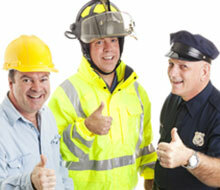 We are Greater Los Angeles’s most relied upon fire alarm companies and fire protection companies. Our high customer satisfaction and retention rate (approximately 95 percent) speaks for itself as we have been able to ensure that our customers are about to pass any and all fire testing protocols. These may include the extremely important and highly comprehensive LAFD Reg 4 tests dealing with fire alarms, as well as communications and many other aspects of dealing with a sudden fire. Global Fire Technologies, Inc. is a multifaceted firm comprised of highly talented professionals who understand the intricacies of a modern day fire alarm system. We are the experts for testing a fire alarm in Los Angeles and can capably deal with every aspect of their testing, sale, and installation. From fire alarm pull station and central station alarm monitoring to full-scale retrofitting and testing of your buildings’ alarm systems, Global Fire Technologies, Inc. is respected by our peers and past customers for our professionalism and skill. 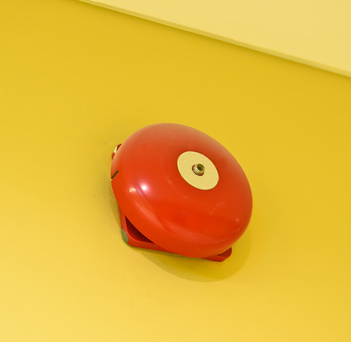 If you are looking for the most experienced and knowledgeable fire alarm specialists in Southern California, you have come to the right place. Global Fire Technologies, Inc. is comprised of thoroughgoing professionals who understand every aspect of ensuring that fire alarms respond appropriately when fire threatens and pass all the relevant tests. We understand that safety in a fire and complying with fire codes are extremely serious. A fire is a threat not only to lives and property, but to the livelihoods of both owners and employees. Making sure that everything possible that can be done to alert individuals to the threat of a fire is one of the most serious goals any business can have. Global Fire Technologies, Inc. is committed to providing the finest, premium services in the most efficient and cost effective manner possible. Because of our efficiency, experience, and discounts for clients needing multiple services, Global Fire Technologies, Inc. can proudly say that our fire alarm prices meet the bottom line for cost as well as safety. While we are experts in all residential, industrial, and commercial fire alarm systems, the Global Fire Technologies, Inc. team offers the whole range of fire protection services. 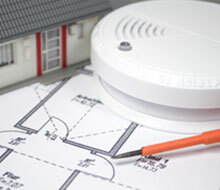 Our fire safety and fire alarm technician crew offers central station monitoring, sprinkler service and testing, fire extinguisher service, alarm and extinguisher sales, as well as some low voltage installation work. As with any of our services, Global Fire Technologies, Inc. provides an absolutely free quote and consultation for any and all types of fire alarm systems, sprinkler systems, and more. 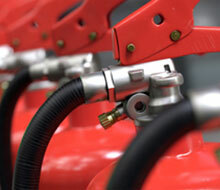 We are here to help with all of your fire protection needs. For more information on obtaining an outstanding fire alarm system or for ensuring that your pre-existing system is operational and fully compliant with all relevant codes and laws, please phone us at once. 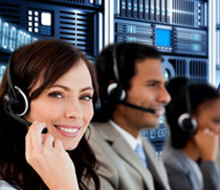 Our phone number is 1-818-330-7136. You can also get in touch with us via our contact page. Free consultations and estimates are available. Acton, Agoura Hills, Alhambra, Altadena, Arcadia, Artesia, Avalon, Azusa, Baldwin Park, Bell Gardens, Bellflower, Beverly Hills, Burbank, Calabasas, Canoga Park, Canyon Country, Carson, Castaic, Cerritos, Chatsworth, Claremont, Compton, Covina, Culver City, Diamond Bar, Downey, Duarte, El Monte, El Segundo, Encino, Gardena, Glendale, Glendora, Granada Hills, Hacienda, Heights, Harbor City, Hawaiian Gardens, Hawthorne, Hermosa Beach, Huntington Park, Inglewood, La Canada, Flintridge, La Crescenta, La Mirada, La Puente, La Verne, Lake Hughes, Lakewood, Lancaster, Lawndale, Littlerock, Llano, Lomita, Long Beach, Los Angeles, Lynwood, Malibu, Manhattan Beach, Marina Del Rey, Maywood, Mission Hills, Monrovia, Montebello, Monterey Park, Montrose, Mount Wilson, Newhall, North Hills, North Hollywood, Northridge, Norwalk, Pacific Palisades, Pacoima, Palmdale, Palos Verdes, Peninsula, Panorama City, Paramount, Pasadena, Pearblossom, Pico Rivera, Playa Del Rey, Playa Vista, Pomona, Porter Ranch, Rancho Palos Verdes, Redondo Beach, Reseda, Rosemead, Rowland Heights, San Dimas, San Fernando, San Gabriel, San Marino, San Pedro, Santa Clarita, Santa Fe Springs, Santa Monica, Sherman Oaks, Sierra Madre, Signal Hill, South El Monte, South Gate, South Pasadena, Stevenson Ranch, Studio City, Sun Valley, Sunland, Sylmar, Tarzana, Temple City, Topanga, Torrance, Tujunga, Valencia, Valley Village, Valyermo, Van Nuys, Venice, Verdugo City, Walnut, West Covina, West Hills, West Hollywood, Whittier, Wilmington, Winnetka, and Woodland Hills.